JBL Professional by HARMAN and UK distributor Sound Technology Ltd are pleased to announce immediate availability of a new lineup of monitor system controllers designed to enhance the workflow in music recording, post production and broadcast control rooms. Two models and one bundle provide the essential level and source selection controls needed in today’s computer-based production systems. The new controllers are ideal for use with JBL’s successful 3 Series Studio Monitors and can be used with any studio speaker system. 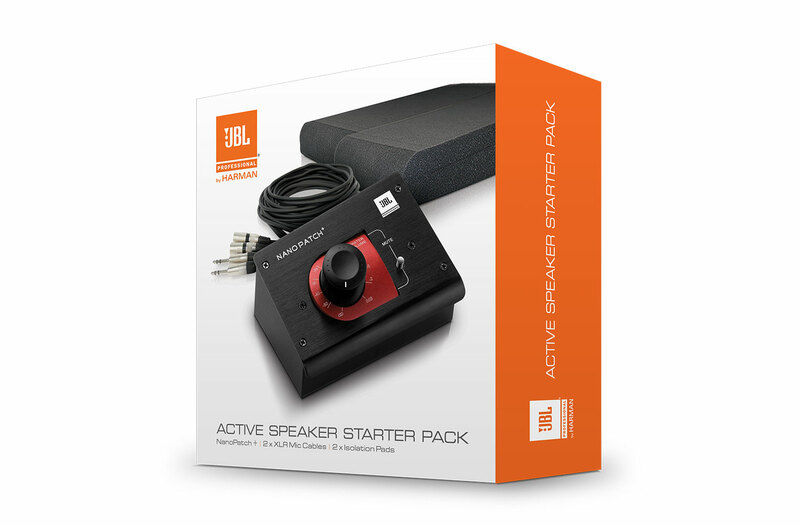 The JBL Active Speaker Starter Kit as the ideal add-on to JBL 3 Series Studio Monitors. The Kit bundles two studio monitor isolation pads with the Nano Patch Plus volume controller and four 3-meter male XLR-to-TRS cables. The kit makes it easy to connect a computer audio system to a pair of powered studio monitors, providing a clean monitoring path and volume control for an efficient workflow. Learn more about JBL Professional monitor controllers here.